The FT-Line VE model is a high quality inline filter system ideal for both domestic and commercial use where improved taste and odour and limescale treatment is required. 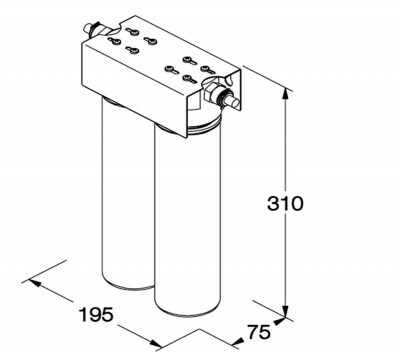 The system is therefore an ideal choice of inline filter for anyone seeking a high quality and reliable unit, with easy maintenance and lower running costs. The system can be used with a separate tap or used with a 3 way tap for installation at the home. For commercial applications, the unit is ideal for coffee and espresso machines, vending machines, drinking water fountains and so on. 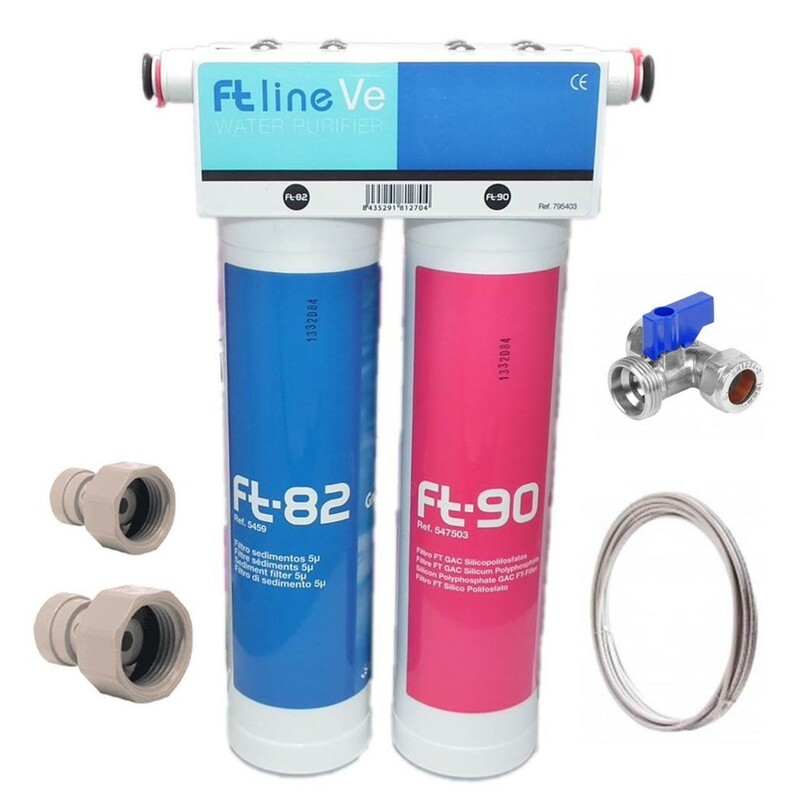 The filters protect your machine from the build up of limescale and will improve the taste of the water. Adaptor for connection of 3/8" tube to your chosen 3 way tap - please note if you are buying this kit for a tap we have not supplied, please contact us and let us know so we can provide the right adaptor for you to make your installation go smoothly! 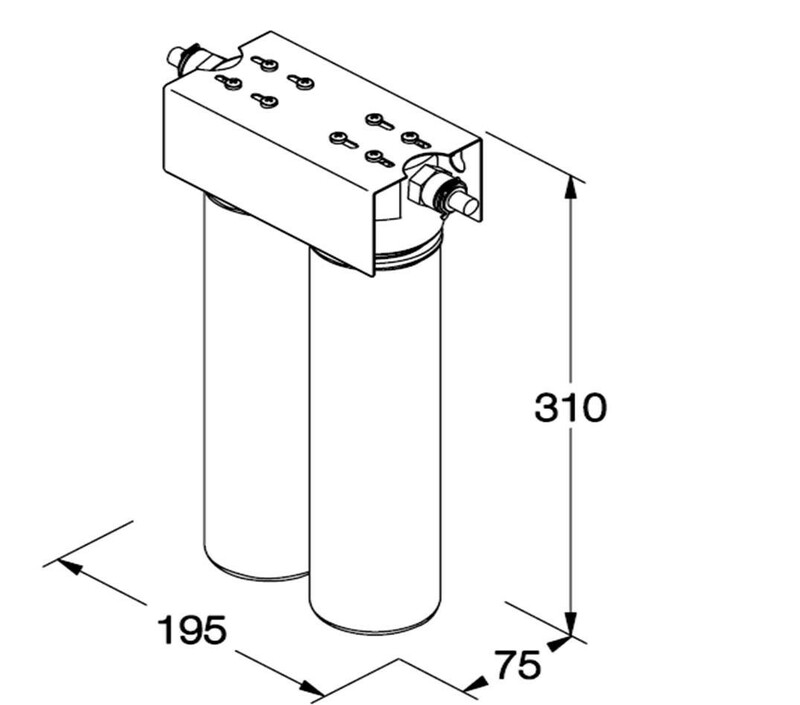 Two Ft filters with 5 μm polypropylene filtration and activated carbon with silico-polyphosphates. Suitable for vending use and in the catering sector. Ft-90 silver carbon and silico-polyphosphates filter. Box dimensions: 275 x 385 x 125 mm. Max. pressure: 125 PSI / 8.6 bar. Max. flow: 0.25 GPM / 1 LPM. Service life: 2600 GAL / 10000 L.